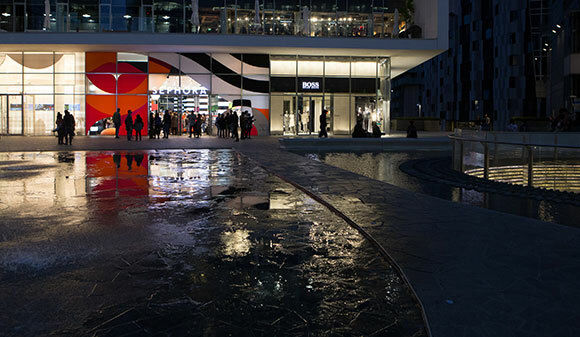 Milan Design Week is an event of such magnitude that an ever-growing, international crowd gathers each year in Milan to enjoy the best design has to offer. The “Salone Del Mobile”, as Italians commonly refer to it, has overgrown his initial in-the-known industry devotees to engage a broad and enthusiastic audience. 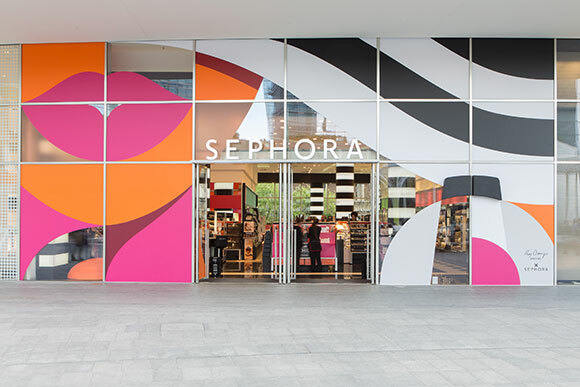 To celebrate what has become the most important event in Milan, Sephora and event agency Exhibita invited Ray Oranges to redesign the beauty chain largest store window in the city overlooking the newly renovated Piazza Gae Aulenti. 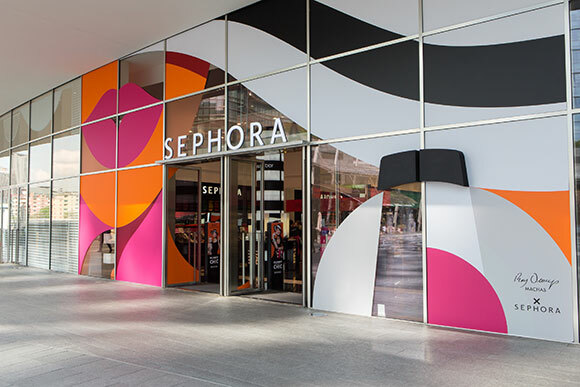 Ray used the windows’ irregular pattern as a grid to develop a bold yet elegant composition, seamlessly tying together Sephora’s “Mummy Chic” campaign key features with design objects. To achieve such result, Ray stripped down the elements of the composition to their essential shape and arranged them with a smart play with scale and a restricted colour palette. 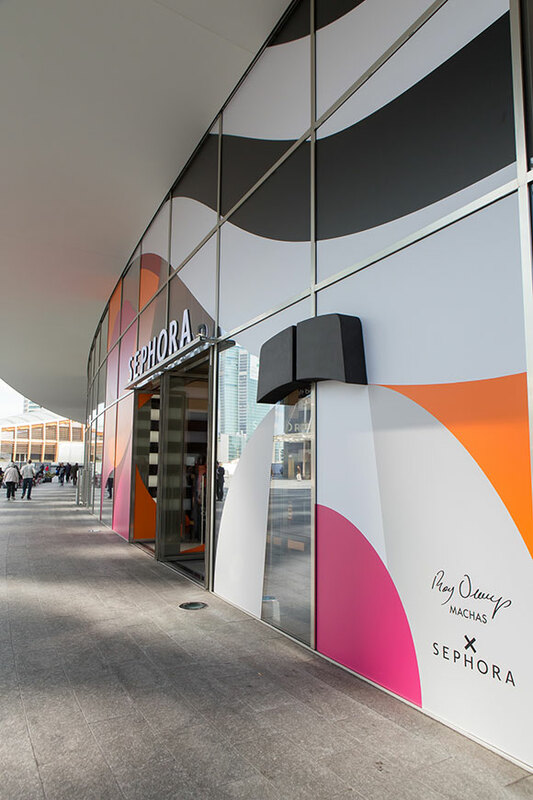 In the process of removing all is not strictly necessary, Ray opted for leaving few spots on the window clear, thus creating a dialogue between the inside of the store and the artwork, reinforced by few 3D elements such as a dot-shaped orange seating. Aptly named “The Design of Life” the installation shows how design permeates and enhances every aspect of our life. To see more of Ray’s work click here.